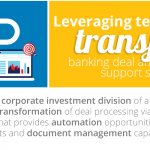 BSG supported the corporate investment division of a large South African bank to drive transformation of deal processing via a cutting edge technology stack that provides automation opportunities, improved case, contracts and document management capabilities. 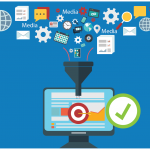 Evolving the automation of transaction support services to enable end-to-end processing and central storage of administration documentation. Do you need to drive your digital transformation to optimise support services?